Antiques Roadtrip recently visited the National Motor Cycle Museum which is situated near Solihull. The Road Trip clip highlights Norton motorbikes, especially the Formby Norton International and features a ride on George’s machine. 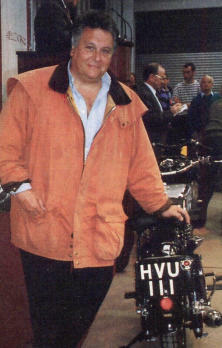 George was well known for his love of luxury motor cars and also enjoyed a range of motorbikes. 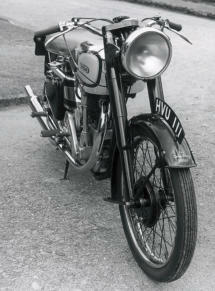 The Norton was presented to him as a gift by the Norton factory in Birmingham in July 1947. 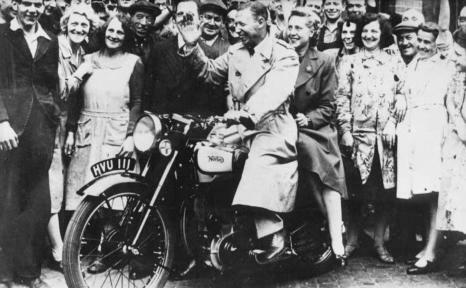 George had been performing in the radio show “Workers Playtime” at the Norton factory and as he was leaving the canteen after the broadcast he was confronted by the Norton factory employees who at a given signal, all parted to reveal the famous Norton machine. 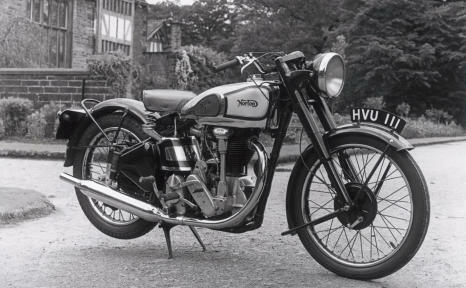 The famous Norton has been in the hands of at least two GFS members, the first was founder member David Hamer who owned the machine for 17 years and once rode it to the Imperial Hotel for a convention! Some years later Bob Norton acquired it. 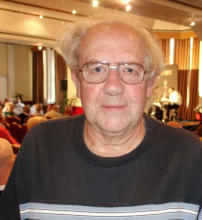 Bob also obtained George’s famous Abbott which he once brought to the Winter Gardens for a convention and allowed members to have a strum and for Dickie Speake to play it on stage. The machine changed hands once again in December 2007 for £29,900. 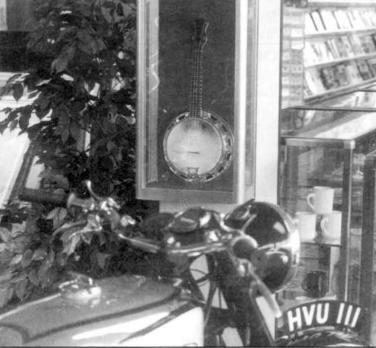 IN MARCH 1948, GEORGE SOLD THE BIKE. George was having a drink in his local pub and just happened to mention to Ernest that he was thinking of selling the Norton, “If you mean that, I could be interested” said Ernest. The deal was done there and then in the pub with £250 changing hands as the agreed price. GFS owners Bob Norton at left and David Hamer below.